A best-selling international hit series, a major motion picture, and--according to the Anime News Network--"the greatest zombie manga ever." As the ZQN virus continues to mutate and alter those living and dead, Hiromi and Yabu attempt to get free from a zombie swarm and find help for Hideo. Across Japan, those who are fully ZQN begin to band together in surprising ways. Whe A best-selling international hit series, a major motion picture, and--according to the Anime News Network--"the greatest zombie manga ever." As the ZQN virus continues to mutate and alter those living and dead, Hiromi and Yabu attempt to get free from a zombie swarm and find help for Hideo. Across Japan, those who are fully ZQN begin to band together in surprising ways. 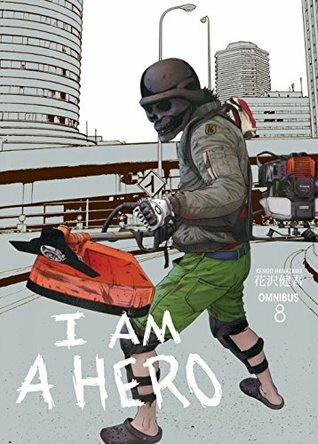 When another group of survivors is found, Kengo Hanazawa's epic manga series beings to steamroll over readers and zombies alike as it revs up the action and moves closer to its stunning finale! This series is taking an intriguing direction, that becomes especially weird, but compelling with the end. Our main trio of characters are featured heavily, which I really liked. There is a plot choice for one of the trio, that I was not a huge fan of, but it ends up being completed with some well done emotional scenes. I am beginning to wonder how many more volumes are left in the series, things are getting weird, and there seems to be almost no one left! Enjoyable. Everything's coming together(ish). Feels like the beginning of the end here. I'll let you know how that feeling pans out.